Do you ever pretend you’re something you’re not? Oh puhlease. Yes you do. When you’ve got the house to yourself, you don’t turn the music way up and pretend you’re the star of your own concert, complete with “air” microphone? Because let me tell you, I scream a mean Alanis Morissette when no one’s around. I also play a rockin’ bass guitar to Bon Jovi’s Dead or Alive and Mariah Carey and I are like singing soul sisters. Oh yeah, I’m good. The cats kind of look at me with annoyed squinty eyes, but I think that means they really, really like my singing. Maybe you pretend you’re a dancer? If the New York City Ballet could see me float across my living room floor, they’d be begging me to sign up. But what I mostly pretend (like EVERY DAY) is that I’m Italian. I mean, it’s half true. So, I stretch it a little. Big. Deal. Once you get married in Italy, you’re like an honorary member. So where am I going with this and what in the heck does this have to do with Cucumber Salad? Patience, my amici. This is going in the fridge to marinate for a few hours! I have this habit (no, let’s call it a quirk, it sounds cuter) that I picked up from my dad as a young girl. I assumed my dad picked it up from my Italian grandmother. It’s weird and I don’t know anyone else who does this so please don’t judge me…okay, you can, but pretend you still like me. CUTE ADORABLE QUIRK: I dunk bread into leftover vinaigrette salad dressing (or just plain vinegar). This isn’t the same as dunking bread in olive oil prior to a meal. This is barbarously sopping up your remaining salad with your bread. At some point growing up, I learned that this was bad manners, so I don’t do it in good company. But what I recently learned (and I’ll try to hold back the tears) is that this isn’t something Italians do. All these years I assumed I had this Italian bread & vinegar fetish that just wasn’t acceptable in the U.S. and now I find out that I’m just a complete freak?! [meltdown by crying and throwing myself across the kitchen table]. Hey, I’m Italian. We’re overly dramatic. But like any good Italian would do, I’ll make some sort of hand gesture towards the killjoys and decide to dunk that dang bread anyway. Because carpe diem, la dolce vita, and yeah…like…other stuff. I did find something called “fare la scarpetta” which basically means to mop up the sauce from a plate of food with a piece of bread. Interrresting. I knew I was a cool Italian! Maybe I’m not pretending after all? So there you have it. 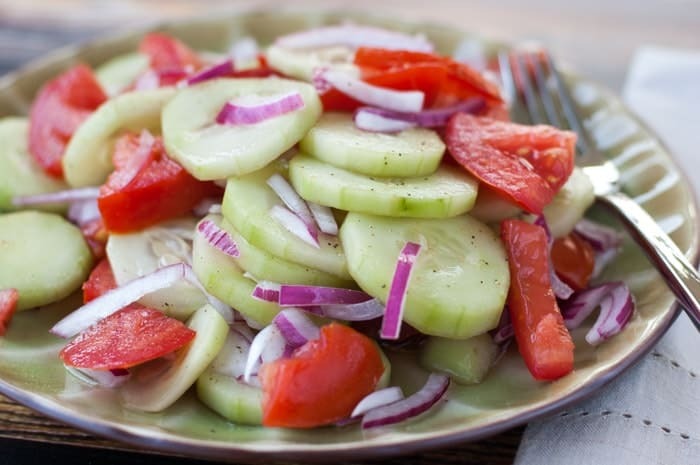 Marinated Cucumber Salad with tomatoes and onions. It’s so vinegary, it’ll blow your Italian leather shoes off. I love it! Even though the cucumbers are deliciously sweet and tangy after marinating for several hours with the tomatoes and onions, it’s all about dunking that bread in the leftover juice afterwards. In a medium bowl, combine vinegar, water, sugar, and salt and stir to combine. 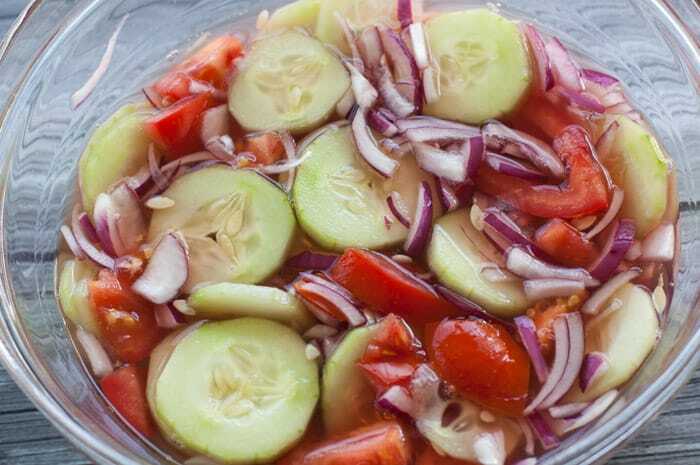 Add cucumber, onions, and tomatoes to liquid and stir. Cover and refrigerate for at least 3 hours. Serve cold with fresh ground pepper. This is one of your best posts EVER! Seriously, Erma Bombeck (who I loved), move over! Great recipe! 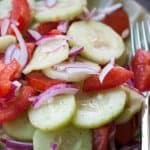 I just love marinated cucumbers and this looks like a great recipe to try. Funny thing, my daughter dunks her bread too! Ever since she was a little girl! I made this recipe for my quilt group and, honestly, I should have doubled the recipe! It was so good! I am going to make this for my family with our Christmas dinner! This looks scrumptious- light and easy to make- perfect for the summer! We make something similar, but we put in whole green olives and replace the vinegar with juice from 2 large lemons. 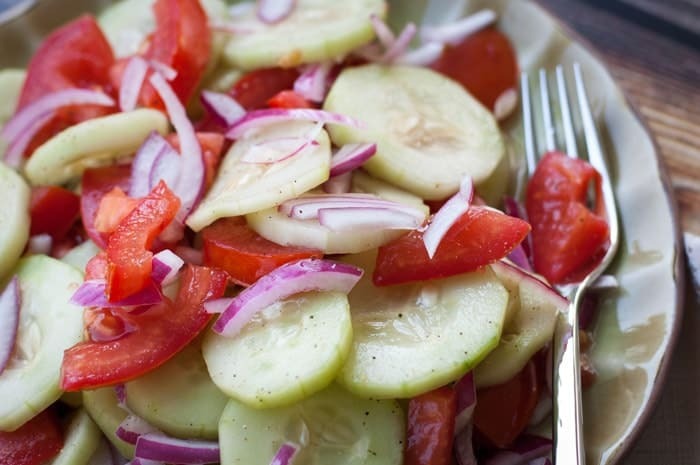 This salad graces our table frequently…So refreshing! I bring the sugar, water and vinegar to a brief boil just til the sugar is melted and let it cool before adding to the rest. Smells divine! Lastly, I am a serial sopper and if my juice is gone before my bread, I am coming after yours! I’m so glad to hear this, Marcella. 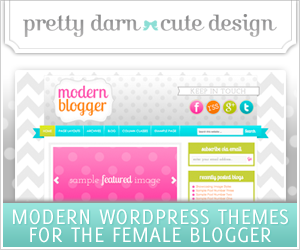 I’m with you – I love the sopping! 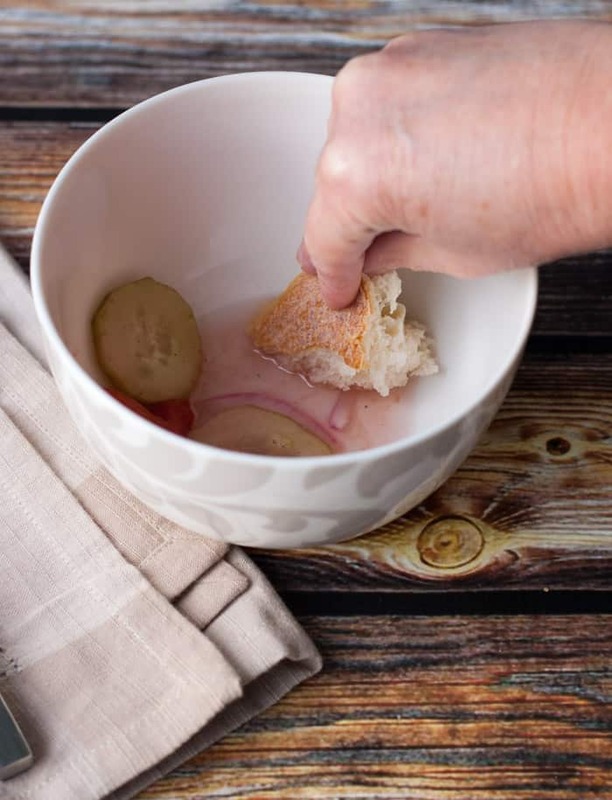 I had an Italian father, and I also dunk my bread in vinegar and always will. I make this at least once a week, living in fl it’s refreshing. I do a lot of variations. It’s amazing with feta cheese, oregano, my nana would make it with fresh basil from the garden, I’ve put spicy peppers in it before. I’ve never added water but I do use evoo n I don’t add sugar. I grew up with Italian grandparents so I too have learned to sop up any remaining liquid with my bread and I don’t care who’s watching! don’t let the waitress pick up my husbands plate until I’ve sopped up his plate also! Lol mangia! Nice and light! A bit sweet for our tastes, so next time I’ll use only 2 T of sugar. Great with just about everything from grilled fish to burgers and will last a couple of days in the refrigerator (if we have any left). This looks divine and your comments make it! I have an off the wall question for you. I’m trying to convert my recipes to a make ahead for when we take the travel trailer out for long weekends. 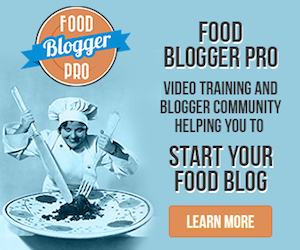 So my question is – can I make this ahead and put in a mason jar for eating 3-4 days later? Thank you and happy sopping! Hi Cherrice! Yes, this recipe is perfect for making ahead. I think they taste better when they’ve marinated for longer. Happy traveling!